Summary: Simmons’ location for the past few months is revealed as HYDRA goes on the hunt for Donnie Gill. Fitz finds out that Ward has been kept in the base and doesn’t react well. May also shoots Hunter and I laugh myself silly. This show has become such quality, you guys. I’m so happy. Last week’s recap left off in a weird place, so I should just say at the forefront that Simmons is NOT evil. She’s just under deep cover with HYDRA in order to have a better understanding of how they work. YAY! Though, with the organization’s tendency to brainwash its assets, she may be in danger. Crap. Luckily, the show is quick to put down any fandom hopes that Ward was brainwashed by having him reveal he did everything of his own free will due to his twisted loyalty to Garrett. TRY JUSTIFYING THAT, GRANT WARD WOOBIFIERS. Also, Reed Diamond as Dr. Whitehall trying to brainwash Agent 33 throughout this episode was terrifying. Yeah, I didn’t really need to sleep tonight. Okay, enough of that quick and dirty summary. Yes, Simmons has not defected to HYDRA. 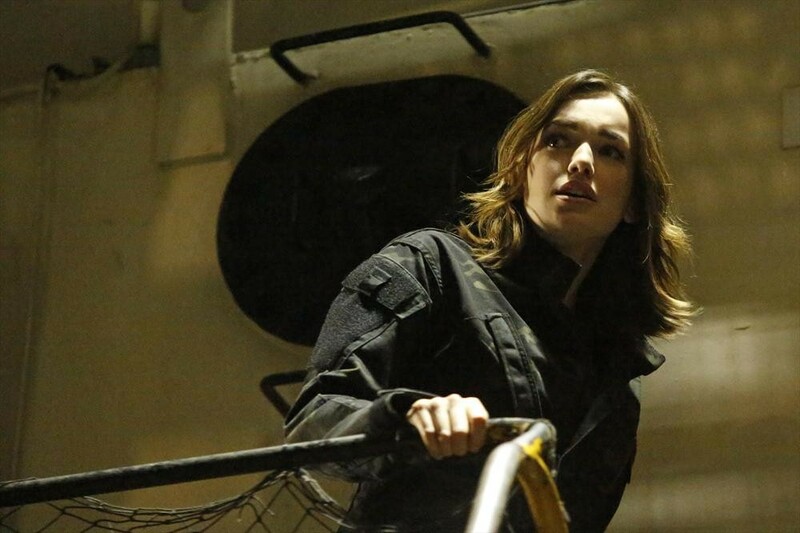 She is under deep cover for S.H.I.E.L.D, but she isn’t moving up very fast. 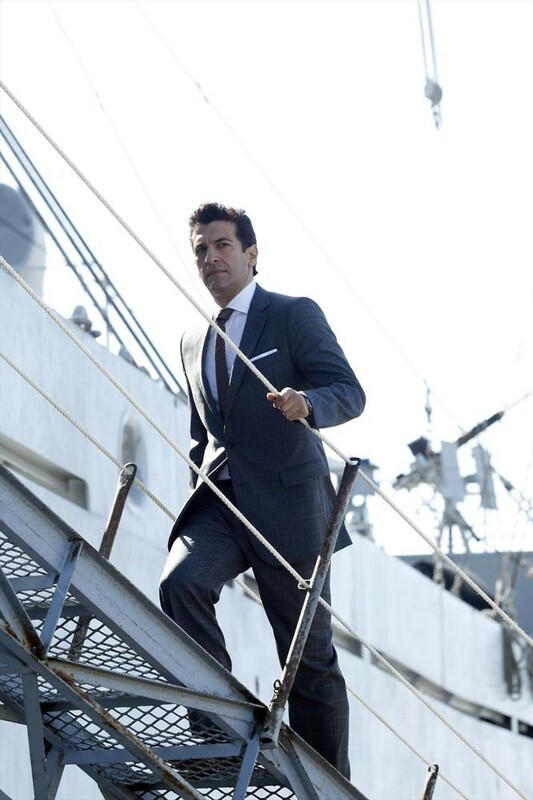 However, in a big stroke of coincidence after Coulson tells her to make friends, it turns out HYDRA is on the hunt for Donnie Gill, whom you may remember from the first season episode ‘Seeds.’ It turns out that HYDRA is after him to recruit him and since Simmons has had experience with him before, she’s now the ideal person to reel him in. Of course, Bakshi doesn’t seem to trust her fully, which makes this a little hard. Back at S.H.I.E.L.D, May has been working with Skye to keep her level while she trains. Also, everyone else is on my level of just not liking Hunter and his basic white boy mercenary antics. Of course, Mack might be utilizing this to get out of doing inventory, but that’s just a sweet little character detail. Most of the team does not know that Simmons is under deep cover, so the rush to get Gill back seems more like another power grab away from HYDRA to most of them. Well, it technically is, I guess. It’s just that nobody knows that Simmons is involved until the last second. 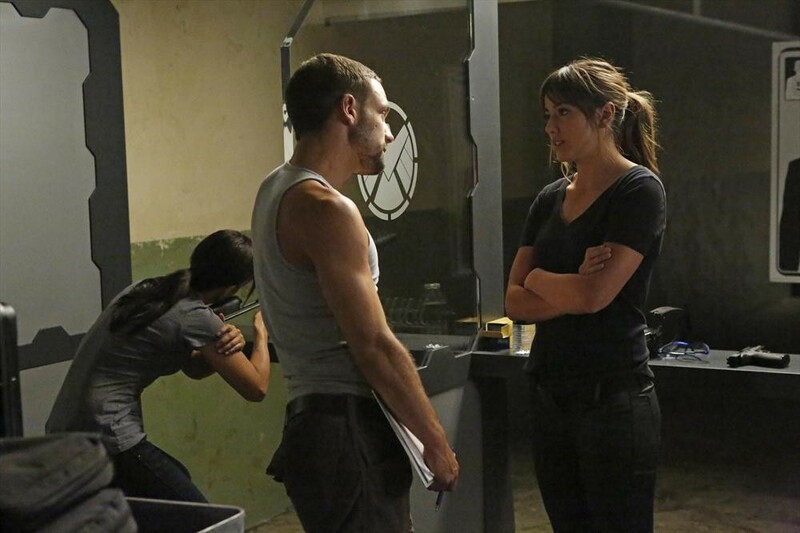 The team cracks down to find out what’s going on and to grab Donnie, but Fitz feels left out of the fold again. Determined to find out what that is, he decides to go into the basement and finds Ward’s prison. Yeah, you can imagine that finding someone who tried to kill you hiding right under your nose does to somebody. In the case of Fitz, he has a bit of an emotional breakdown, then tries to kill Ward by sucking the oxygen out of the room. It’s a messed up eye for an eye situation, but again, I don’t blame the poor boy. However, it is in this moment that Ward reveals that the team may be in too deep with Donnie due to the whole brainwashing thing. Argh. I guess we got to keep Beardy McPlotdevice around for a little bit. I guess. 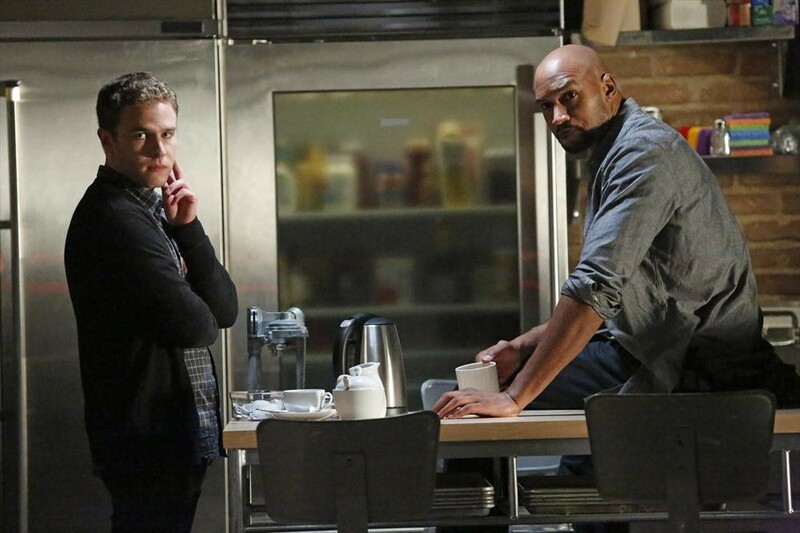 At least Mack and Fitz: Engineering Bros has carried over to another episode. Over at the Port of Casablanca, HYDRA and S.H.I.E.L.D. are on the hunt for Donnie. Bakshi sends Simmons in to talk to him and activate his brainwash protocol, but this leads to Hunter nearly killing Simmons. May catches him in time though and shoots him in the chest. AHAHAHAHAHAAH. Yes! This is already the injury to insult of Skye calling him “Trainspotting.” When he delivers the news to the team that May shot him, all Trip can say is that he wishes he did it first. Don’t worry, Trip. I still believe in you. With the magical moment of the rest of the team knowing Simmons is undercover and Donnie’s being controlled by HYDRA, Skye makes the hard call to neutralize Donnie. This goes back to a moment earlier in the episode where both May and Hunter talk to her about how the decision is never an easy one, but she still grapples with it at the end of the episode. Coulson is also honest with Fitz about why Simmons left and that he can see him making progress. Just maybe not try to asphyxiate Ward in the future maybe? As the episode ends, it seems that Simmons has gained some of Bakshi’s trust, but he also seems intent on brainwashing her just in case. OH GOD NO I CANNOT DEAL WITH THIS. In the stinger, Skye goes to visit Ward, where they talk about what went down with Fitz and the whole brainwashing thing. Ward reveals he did everything of his own free will and since he’ll never lie to Skye, he also tells her that her dad is alive and is looking for her. Skye tells Ward that they’re done and leaves him to dwell, but notices that her heart rate has gone off the charts for the first time all episode. I loved everything about this episode. The plot, the acting, the suspense, the shooting of Lance Hunter in the chest along with the implication that Trip still has room to get him back, and the character development. I’m really hoping they don’t go down a route of trying to redeem Ward, but I’m kind of digging him as this Hannibal Lecter-esque figure to Skye’s Clarice Starling. Of course, let’s hope it stays more Silence of the Lambs. Have I mentioned that I don’t want Ward to be redeemed? Next week looks like it will be a return to the Bus, and I’m excited to see what the new team dynamic will be like there. You know… if no one dies first.